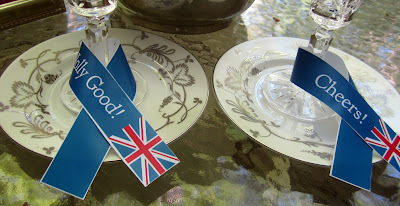 Just a quick post as I set up for my mini-party tomorrow morning. 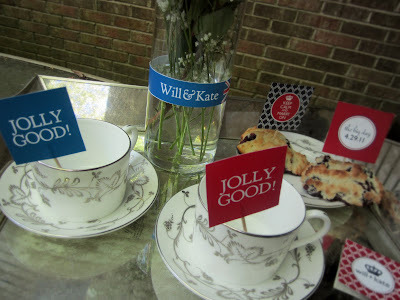 I am loving these free printables from TomKat Studios and Design Editor. Thank you both SO MUCH for spending on time on these awesome and FREE paper products! 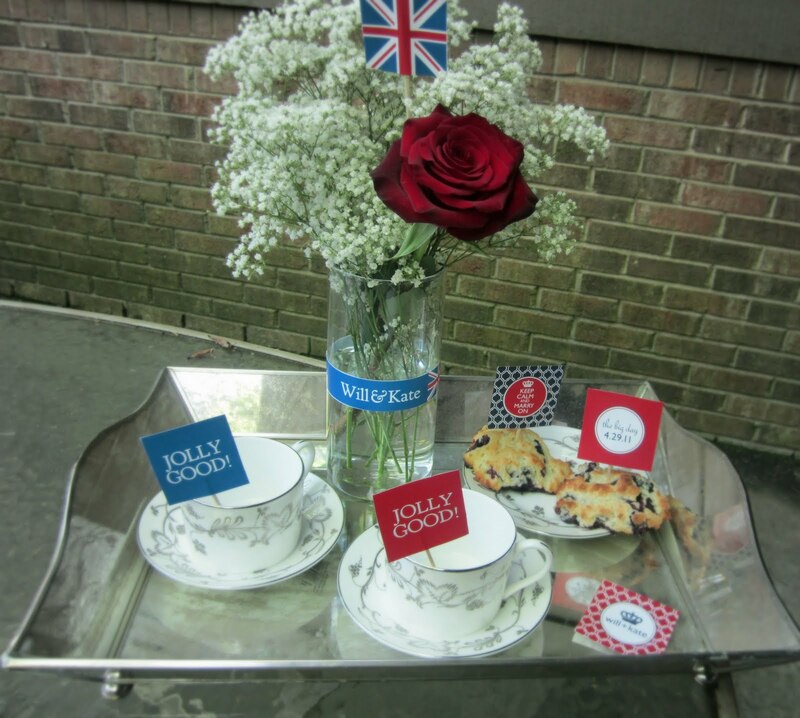 Make a tea and scone tray. (I made the Tyler Florence scones I talked about on yesterday's post - OMG are they good. I haven't even glazed them yet! To glaze or not to glaze...that is the question.) 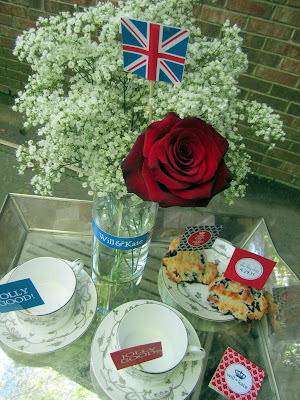 Use the wraparound printables from Design Editor to decorate your flower vase, their square printables for tea cup accessories and their British flag as a flower pick! 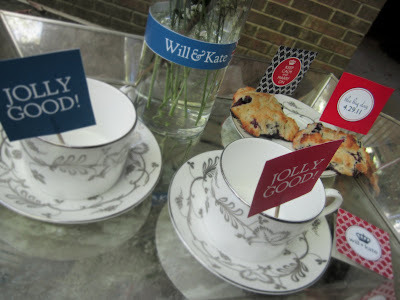 TomKat's adorable party circles are perfect for adorning scones! And yes, this is my wedding china. If you can't break out the good china for the Royal wedding, when can you use it? I use mine any chance I get! 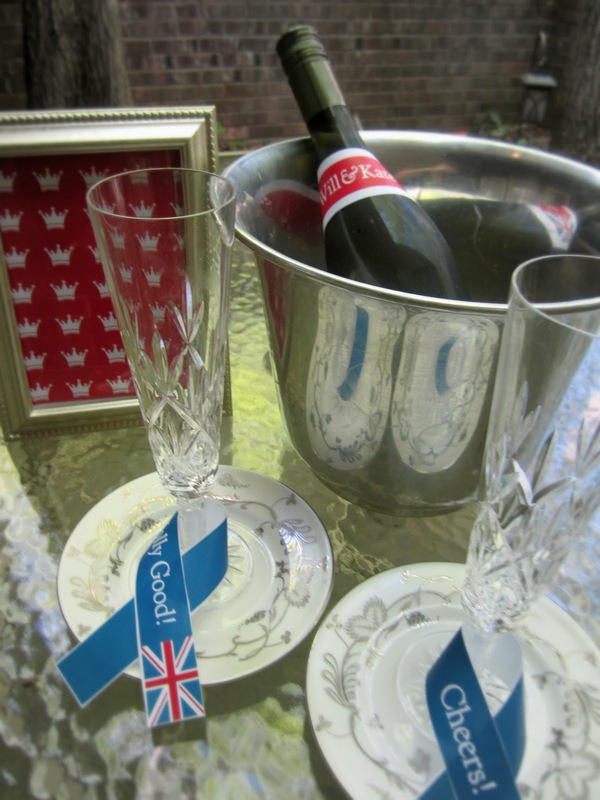 Champagne and mimosas more your thing? I used Design Editor's wraparound printables to decorate the stems of the flutes and the neck of the champagne bottle. 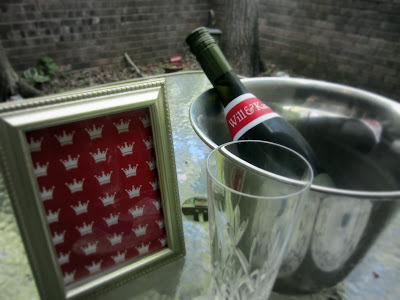 Frame the crown patter from Design Editor for simple decor as well. Download these printables HERE and HERE. Thanks again Tomkat and Design Editor! !